Jordana and Trent have been one of my favorite couples to work with because of their deep love for each other and rich creativity. Full of whimsy and bright colors, this wedding had a feather aisle, food truck for catering and lots of vintage decor. This is a hipster wedding by definition and I loved being a part of it! 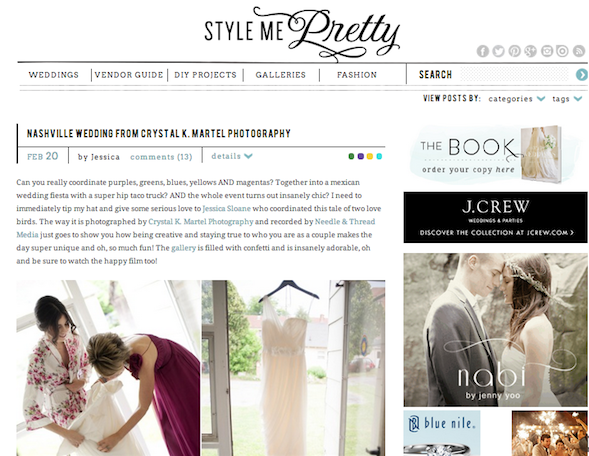 Their wedding is featured on Style Me Pretty today, so be sure to check it out!